Ryen is the Client Success Manager for MCG Partners, a women-owned consultancy specializing in leadership and talent optimization. Ryen works with all our PI® clients to address their PI® questions, needs, processes and utilization. She provides daily hands on services to our clients offering timely, creative solutions to meet all their needs. She also administers and coordinates MCG Partners conferences, programs, seminars and speaking engagements. She acts as a liaison between all senior managers to ensure the day to day running of projects with her strong ability to analyze, prioritize, mitigate and communicate projects. Ryen brings over 10 years of proven customer support and management experience. Previously, Ryen worked as a Client Service Manager for NetWatch, Inc. an IT consulting firm. In this role, she managed client relationships through resolution of problems, explanation and knowledge of policies that resulted in greater client satisfaction and long lasting relationships. Prior to NetWatch, Inc., Ryen was Head of Corporate Sales and Office Manager for Sally Bridge Designs, a woman’s fashion design company, now Sally Bridge Metal. While in this role, Ryen significantly increased company sales, supervised sales reps and regularly participated in NYC fashion week. Sharing the company’s strong belief to manufacture in the US, she oversaw production, manufacturing, quality control and product development in the heart of New England. 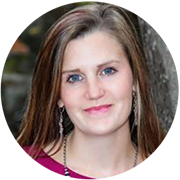 Ryen holds a BA from Bridgewater State University where she majored in Sociology and continues her education at Massasoit Community College in Accounting and is a certified analyst in the Predictive Index® (PI®). Ryen has successfully built and sustained strong customer relationships and believes a company’s customer service policies are what set them apart from their competitors.